If your law firm uses Google AdWords to advertise its services via Google AdWords Pay Per Click then things are going to get even better now. Google continually aims to improve its Pay Per Click services and the most recent development specifically applies to the use of negative keywords across your campaigns. To make things easier, Google has recently developed a tool which allows Pay Per Click Advertisers to use a single negative keyword list across multiple campaigns. Attorney marketing of any kind can be improved even further thanks to this development as it saves on a huge amount of time which the Pay Per Click Advertiser or Pay Per Click Manager can then use to do other more important things to the campaigns throughout the day. For example, law firm marketing might always include the word “free” as a negative keyword across multiple campaigns if “free” is not an area of the law firm’s services that it wants to promote through marketing online. Indeed, the difference between the client who pays and the client who receives legal services for free makes a huge difference to any law firm. Therefore, the ability to be able to adjust negative keywords across multiple campaigns at the same time is something that will instantly improve the way in which time is managed in attorney marketing. How Does the AdWords Negative Keyword Tool Work? Online law firm marketing through Google AdWords Pay Per Click is probably broken down into a number of campaigns due to the fact that lawyers need their marketing to cover very broad areas. These areas could include the marketing of medical recall law, family law or lawyers who specialize specifically in child custody law too. Whatever the focus, this new negative keyword tool means that law firm online marketing has yet again been made much simpler. To enable the feature, go to the Control Panel and Library. From there the steps to follow are quite simple. Once the list has been created it can be associated with new and existing Pay Per Click Campaigns and all of the negative keywords in the list will be associated automatically with those campaigns you choose to link it to. Multiple negative keyword lists can be created also to account for the need to have different negative keyword lists associated with each other across different campaigns from time to time. 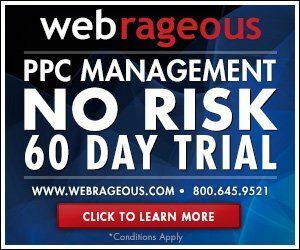 If you are interested in how to improve the use of negative keywords in you law firm online marketing even further, we suggest reading the article Google AdWords Negative Keywords: The Best Choice of Pay Per Click for Attorney Marketing which is available to read on the Webrageous Studios website. The article explains the many reasons why Google AdWords is the best Pay Per Click Network for lawyer marketing, particularly focusing on the way that negative keywords can be manipulated.